Our certified, athletic-based coaches are the heart of our program and work endlessly to meticulously craft strength and conditioning classes that are fun, challenging, and effective for everyone. Meet our UBH Fitness coaches! Being the youngest of six kids, sports and competition were a big part of my childhood. There was always something, organized or informal, that peaked my competitive spirit. Those experiences and events represent some of my fondest memories and ultimately helped to shape who I am today. As I grew older and more self-aware, I was able to dissect what really derived my happiness in those early experiences. Contrary to what I had always assumed, my love of sports was not only rooted in the competition, but rather from my love for physical activity, the shared commitment to task, and from the friendships that were developed from being part of a team. Once I was able to make these powerful connections, my life was transformed. My passion since that day has been to share and help others achieve their fitness goals. When I started UBH over three years ago, I drew upon these fundamental beliefs; physical activity, shared commitment to task and friendships to create a community that promoted a healthy lifestyle. I am a Certified Competitive Athlete Training Zone (CATZ) sports performance coach level 1. My husband Brendan and our two boys, Brady and Wyatt have been residents of Duxbury for over 12 years. The legacy of sports and competition is still very active in our lives. When not coaching on the turf, you will find me in a hockey rink or lacrosse field watching my boys play. For the better part of a decade, Kerri has worked with individuals, groups and athletic teams to better themselves, play harder and live healthier lives through fitness focusing on strength and conditioning. 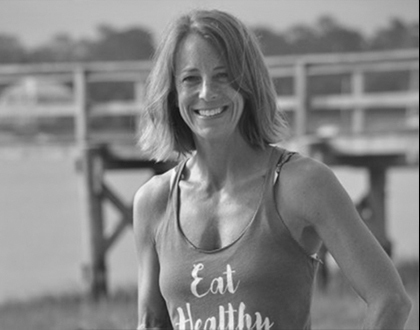 Already a certified personal trainer with The National Academy of Sports Medicine (NASM), and a certified strength coach with USA Weightlifting, Kerri realized the missing link to overall wellness was nutrition. As a certified Precision Nutrition Level 1 coach, Kerri is now able to help those she works with find their own proper balance of nutrition and exercise. While Kerri has been involved in sports for most of her life, she developed a passion for fitness after the birth of her fourth child. Having personally experienced how the right combination of fitness and nutrition can change and improve one’s life, Kerri has been dedicated to educating and motivating others to live their best life through nutrition and fitness, not just dieting and exercising. Whether training adults or student athletes, Kerri is driven to help each individual achieve and exceed personalized goals through program design and execution. Recognizing that there is no one size fits all approach to fitness, Kerri designs her training programs and organizes her classes to be inclusive and adaptive to the needs of each individual participant. Realizing that, coupled with fitness, proper nutrition is needed for optimal results Kerri’s nutrition clients also get individual and personalized nutrition programs helping them to achieve their body composition and performance goals. Sports and fitness has always been a huge part of my life. Growing up I played soccer, basketball and track and also was a ballet dancer for 14 years. After working in a corporate environment for a few years I decided to leave my career behind a desk and head back to school to follow my passion in Fitness. I graduated from NPTI with a diploma of certification in Personal Training and Nutrition, which I had over 500 classroom hours and 300 hands on training hours. I am also certified through ACE and a group fitness instructor. My experience, knowledge, and genuine care for the wellbeing of others, has helped me successfully guide clients to not only lose weight and build muscle, but also I have educated them on how to live a healthy and happy lifestyle. Before starting a family I owned my own private studio where I offered private one on one training, small group training and a very popular outdoor Boot Camp that hit many South Shore towns over the past decade. Some of my specialties are sports specific training and Pre and post natal training. Over the years I have completed a few half marathons, Trained for the Boston Marathon, competed in three fitness competitions and a power lifting competition which I placed first in my age group. Being a mom of two children I love to show them the importance of eating well and staying active. I believe that fitness goes far beyond just making you look better. It improves your health, well being, quality of life and self esteem. I was drawn to fitness for those reasons and I have a passion for helping others change their life through a healthy & active lifestyle. 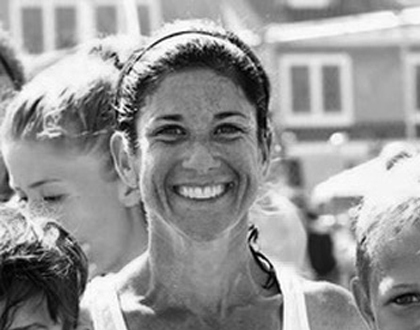 Molly Curtin is a coach with UBH Sport Fitness and coordinates the UBH Duxbury Community Run Group. My passion for fitness and health started at a very young age by playing sports on the fields, playgrounds, and courts of Duxbury. Competing, being part of a team, and learning the game ignited me; and it was on those fields that I was driven to continue to learn and excel. My competitive drive taught me at a very young age to set goals and work hard to achieve them. Over those years, I have achieved countless goals which included; making the “A” team as a youth player, being a freshman on the varsity and playing a sport in college. Now as an adult, I am able to achieve my most recent goals which was to compete and finish an Ironman, and qualifying for the Boston Marathon. All of these experiences have been amazing, and I owe a lot of it to those early years thanks to my family, teammates, and coaches. They have provided me the opportunity to share my passion for leading a healthy lifestyle with others which is one of the greatest experiences of all. I received my BS in Exercise Science from Bridgewater State. I have my CPT through ACSM. My husband Mike and our two children live in Marshfield and are the owners of Sportworks in Duxbury. UBH ( You Belong Here) is in the heart and soul of our well-being. I am honored, from a lifelong passion and belief to be part of this UBH Team and coach our members and guests through safe and challenging workouts. Athletics, training, coaching and competing has been an integral part of my life. Graduating from Springfield College as a Health & Physical Education major to managing and building many Sports & Fitness facilities around N.E. gives me enormous pleasure to see our programs benefit many individuals from all ages and backgrounds.